This CD is the result of a spontaneous communion of three extraordinary artists. 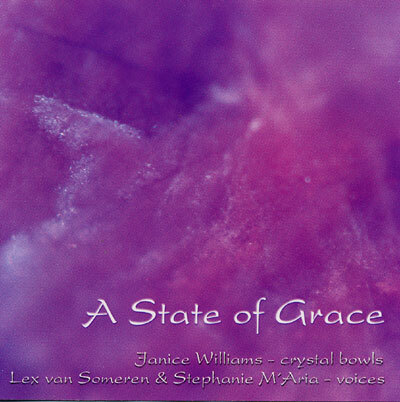 The healing sounds of Janice Williams' crystal bowls inspired Stephanie M'Aria and Lex van Someren to playful and prayerful voice improvisations which invite the listener to experience surprising soundscapes, ranges and contrasts of both these magical voices. Its sound and vibration awake an ancient remembering, touching the essence of the soul.